You are here: Home > News > Company & Product, Seating Industry, Construction & Manufacturing > What’s the Right Spec for your Executive Stadium Seats? As football stadiums evolve, the prevalence of luxury stadium seating continues to increase as more and more clubs are replacing large areas of plastic seating with this VIP style alternative to provide an upgraded match day experience for fans. No longer just a luxury of the Premiership, VIP seats can now be found in clubs across all leagues. Whether it’s a few seats for the Chairman’s box or hundreds for a luxury spectator stand, what’s the right type of executive stadium seats for your club? 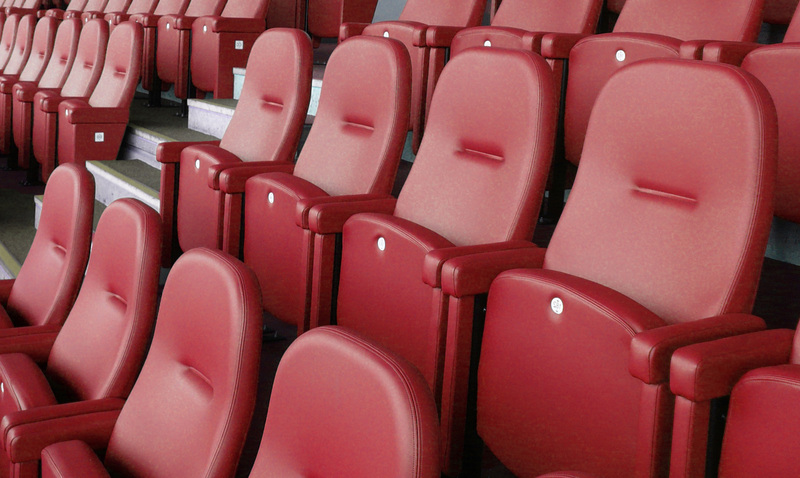 Here we take a look at the options available and how clubs across the UK have utilised the different types of seats in their stadiums. The lowest cost option is a usually a similar style to the traditional plastic seat but with deep cushioned and upholstered seat and back. Evertaut’s version of this is the Club seat which is ideal for larger spectator areas where space is at a premium or for smaller clubs who are looking to add a touch of luxury on a budget. This type of seating is compact with a slim profile and is ideal for clubs looking to upgrade their basic seats without losing capacity. 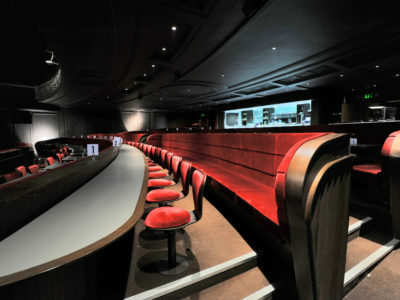 A large area of riser mounted Club seating is pictured here in this Premiership stadium. 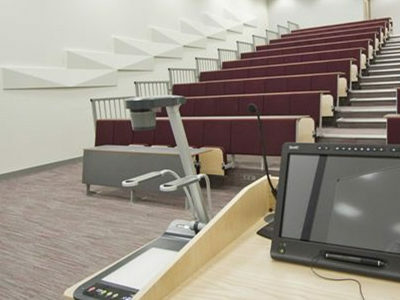 This club has used different styles of executive seating throughout its stadium as well as Diploma lecture chairs and desks in its press room. As executive boxes offer a premium match day experience which clients pay highly for it’s essential to ensure that the luxury provided indoors extends outside. For those VIP guests wanting to experience the stadium atmosphere, luxury seating outside the executive box allows them to do this in comfort and style. 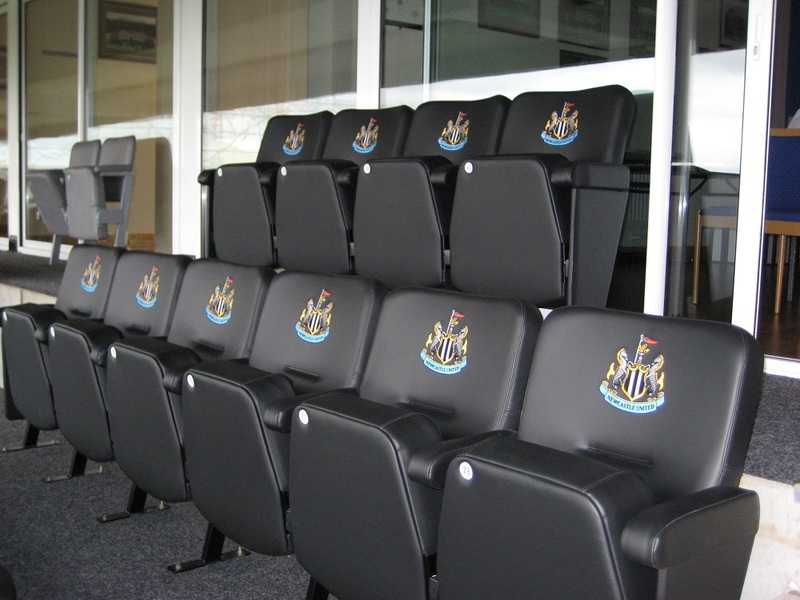 Evertaut VIP stadium seats are situated in the viewing area outside all of Newcastle United FC’s executive boxes. These luxury chairs have a high back featuring embroidery of the club’s crest and a deep, thick cushioned seat. 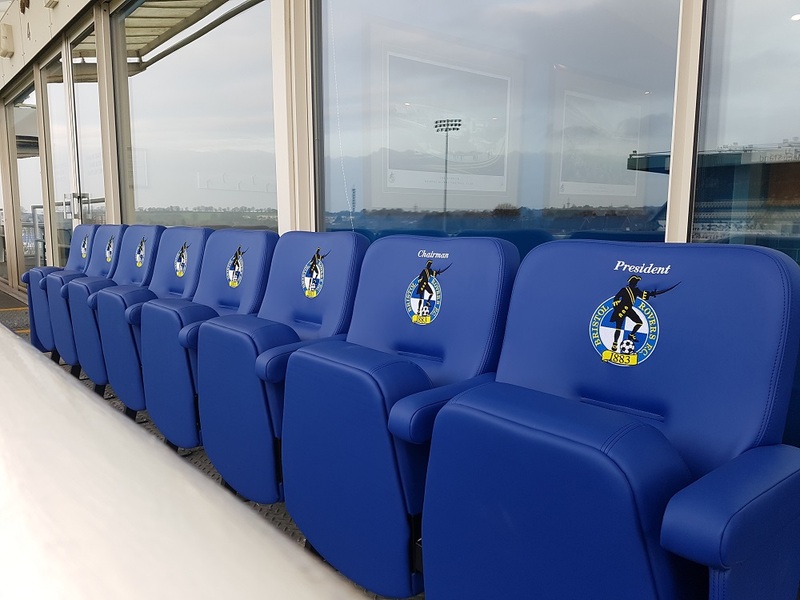 Bristol Rovers FC chose VIP seats for their Chairman’s suite where the club Chairman and President have their own personalised seats. Logos embroidered on seat backs help enhance the luxury look and feel of executive seats whilst job titles or names make them truly individual. If you’re looking for a more superior seat than this then a higher back offers improved comfort and enhances the premium look and feel. Optional heated seat and back pads take luxury to the next level and are a very welcome feature on cold match days. Evertaut's Olympian chair offers all of these features and is the luxury chair of choice for many leading football clubs across the UK. 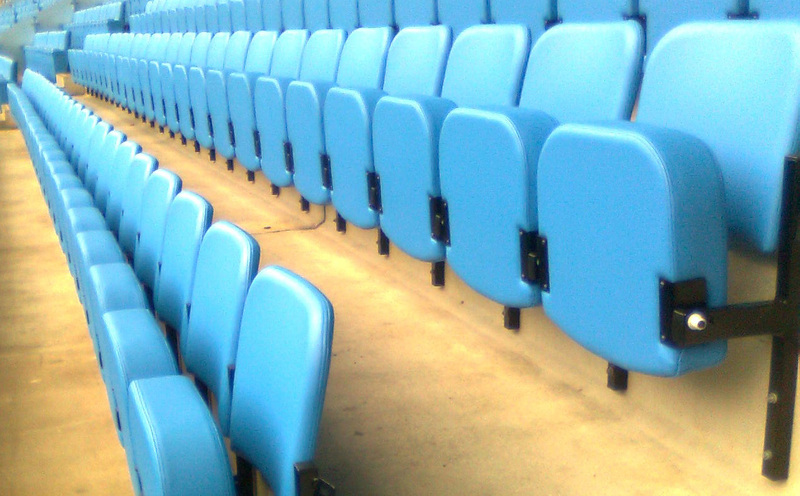 With a range of seat types available, many clubs choose more than one model of seat for different areas of their stadium. From premium fan zones to executive boxes to the Chairman’s suite, there’s a seat to suit each individual space. Southport FC chose both Club and VIP seats for their new stadium. All seats were embroidered with their club crest which creates a striking image in the stadium and enhances the perception of quality. 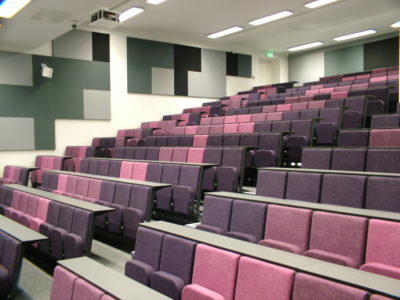 The use of stadium seats is not restricted to the stadium itself and many clubs and other organisations use them in areas where they want to re-create the look of a stadium. VIP seats were used for a football related promotion in pubs across the UK. 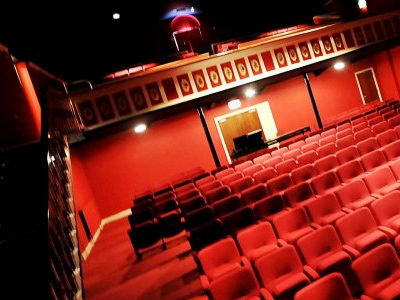 For this unique purpose the seats were manufactured and fixed to base boards so they could be transported around to different venues. 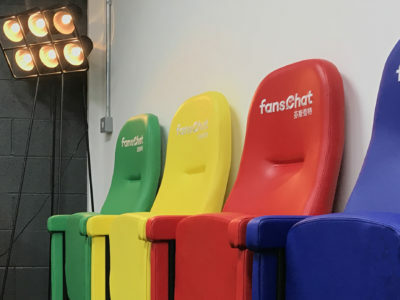 Pictured below, Swansea City Football Club have Olympian seats installed indoors on artificial turf within their training facility whilst sports app developer, Sports Sidekick wanted a football theme for their reception area. Here they used multi-coloured Olympian seats, artificial turf and a small floodlight to create a unique look that makes an impression. 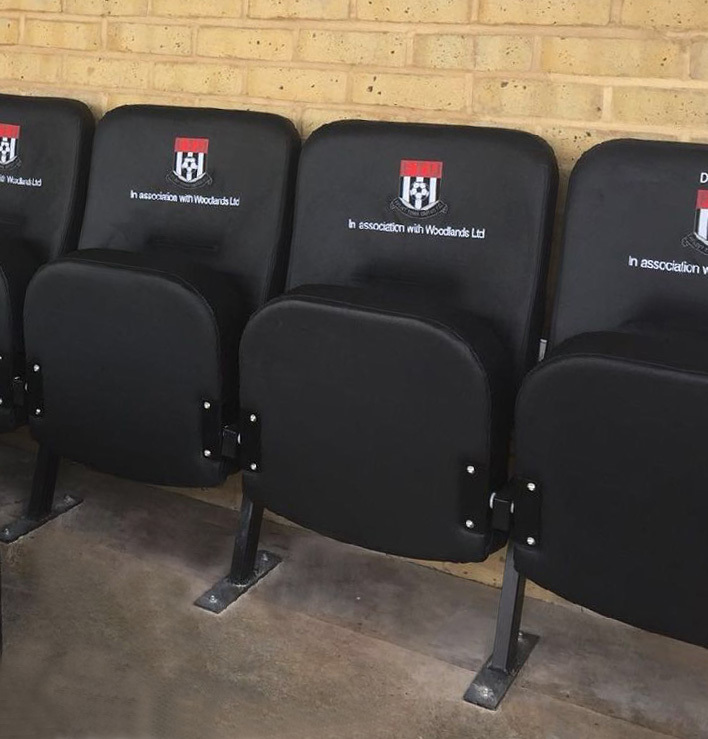 If the standard seats on the market are not quite what you’re looking for it may be possible to create something slightly different for your club. 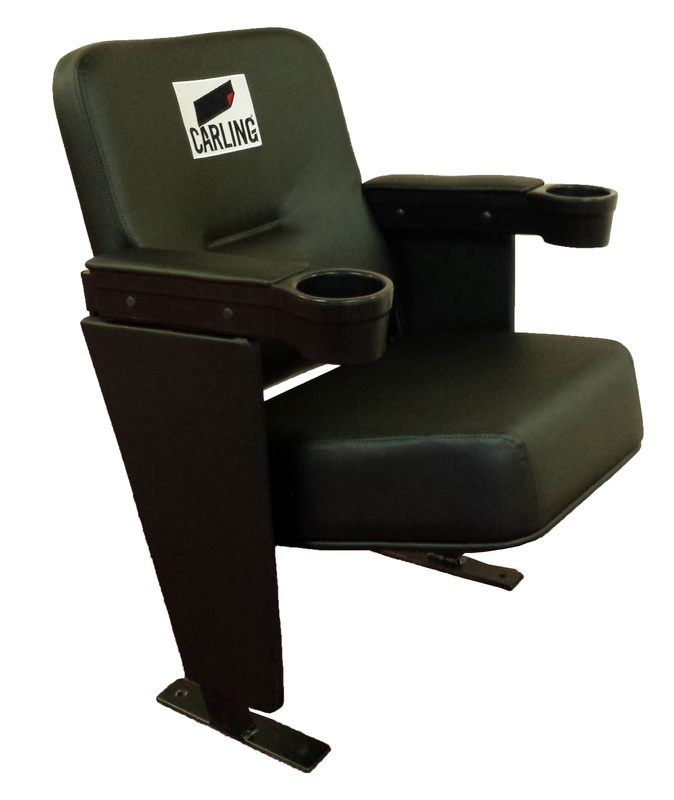 A bespoke hybrid of a Club seat and VIP back was made at the request of Flint Town United Football Club. This Cymru Alliance league club have a single row of these seats with their club crest and sponsor’s name embroidered onto seat backs. If you're looking for a unique design then talk to your supplier to see if they can manufacture to your specifications. 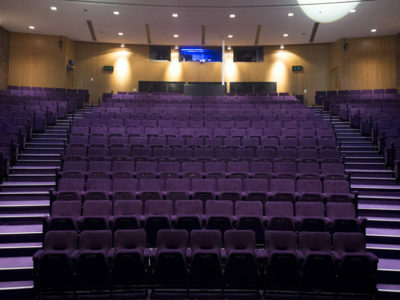 The size of most standard seats can usually also be adjusted to fit each space so if you want a smaller or larger seat than the standard this isn't usually a problem. Which stadium seats should you choose? The type of seat you choose may be dictated by the space you have available and the numbers you need to accommodate or it could come down to budget. 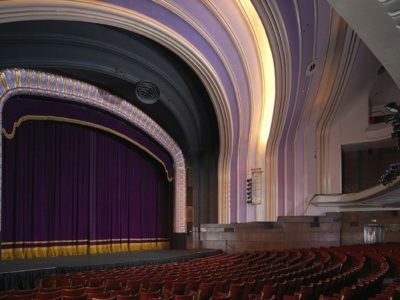 Budget: Are you restricted to a maximum cost per seat or is getting the desired design and style more important than cost? Style: How premium a look do you want to create? The seat size and back height will impact greatly on this – what is the ultimate preference and what is the minimum requirement that is acceptable? Arms/Cup holders – most cup holders form part of the seat arm so if they are required then arms will automatically be included. If the budget is tight and cup holders are not needed then opting for seats without arms is a way to reduce costs. Personalisation – most stadium seats can be personalised with the club logo as well as names, job titles or even sponsors’ logos. 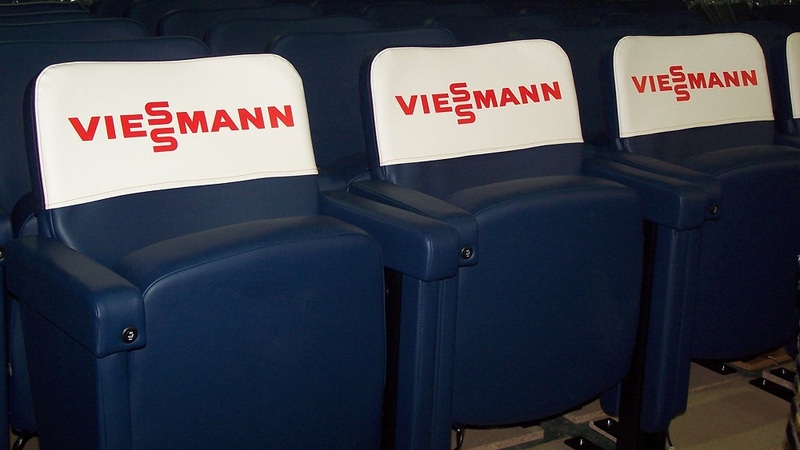 Another option for branding is removable seat covers; these are useful where sponsors may change over time or where certain advertising has to be removed for televised matches. Comfort – A really thick seat may look more luxurious but is not necessarily more comfortable than a slimmer version. Ask any potential suppliers if you can test a sample seat before making a purchase decision to ensure you are happy with the level of comfort it provides. Heated seat and back pads controlled by a button or switch in the seat arm can be a welcome luxury on cold match days and this is worth considering if you want to offer super-premium seats. 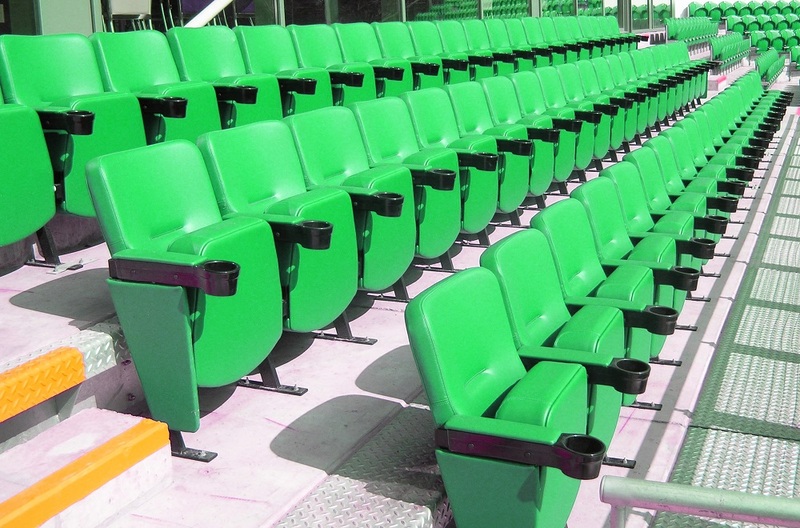 Upholstery – most stadium seats will be upholstered in UV resistant vinyl. You can specify an exact colour using a pantone reference or RAL number but this is usually more expensive and sometimes subject to a minimum order quantity. There is a very wide range of vinyl colours on the market and it’s often possible to closely match a specific colour without the need to specially manufacture it. Additional options – do the seats need to be individually numbered? Are row letters required? Do seats need to be adapted to incorporate any tech, eg phone charging points, TV screens, audio commentary etc. There are now a wide range of stadium seats on the market including many from overseas suppliers which you can order off the shelf. A key benefit of choosing a UK supplier is that seats are usually made to order so they can be tailor made to your requirements. 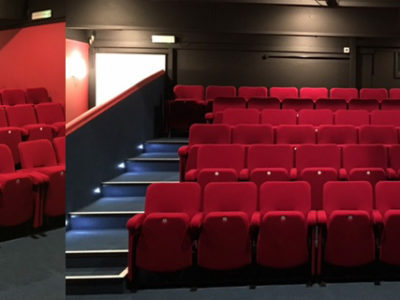 A UK supplier can also fit the seats for you and deal with any problems that may arise during this process as well as offering an after sales service. Whatever type of seat you choose, replacing plastic seats with luxury stadium seats can help transform any area of your stadium. 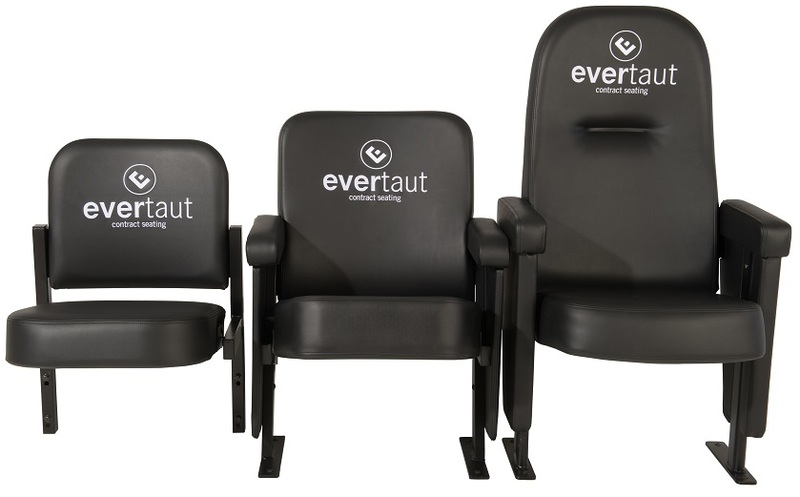 To make an enquiry about Evertaut's range of stadium seating, please complete and submit the short form below.